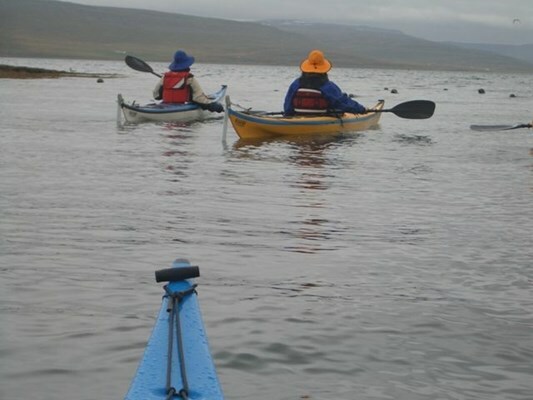 We start at Ögurtravel location in Ögur and paddle across Ísafjarðardjúp (Bay of Ísafjörður) with the necessary stops. 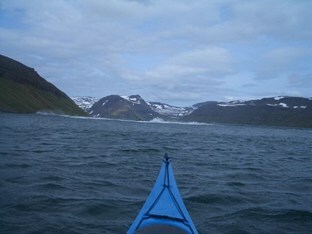 We paddle along the Island Æðey and even step at the Island. 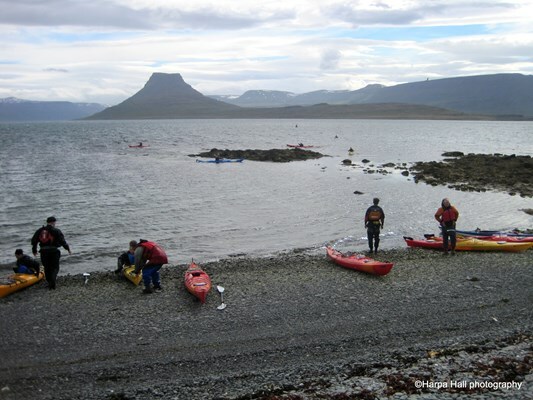 From there we paddle along Snæfjallaströnd (Snowy Mountain Beach) and stop at selected locations to admire the magnificent view. On second day the group takes on the hiking boots and walks over the mountain to Grunnavík. This is a scenic route and historical. After night in Grunnavík the group puts the kayaks to sea again and we row the Glacial fjords (Jökulfirðir) and end on the 5th day in the old village of Hesteyri where the last inhabitant left in the year 1954. From there a boat will bring the group back to Ögur again. This tour is focused on a mix of kayaking and hiking. The guide tells the history of the area. We emphasis on stopping wherever it is possible to enjoy natur, animal life and history. Included: Kayaks and all equipment, tents, food for the 5 days trip and boattrip back. Groups can ask for special offer.